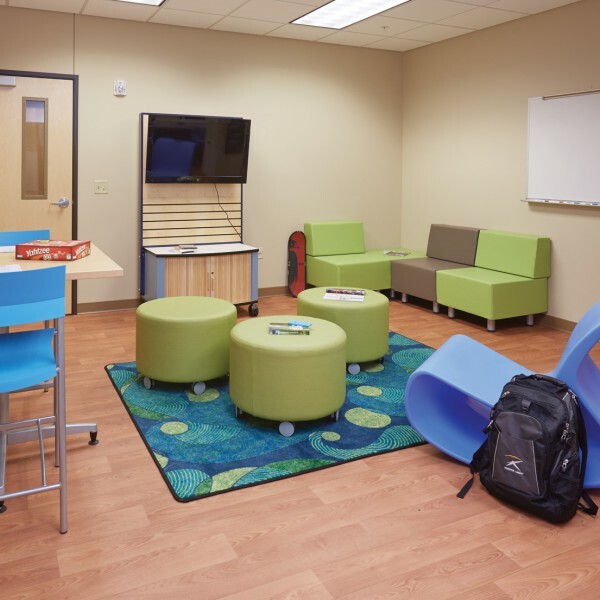 Flexible furniture allows for dynamic learning environments. 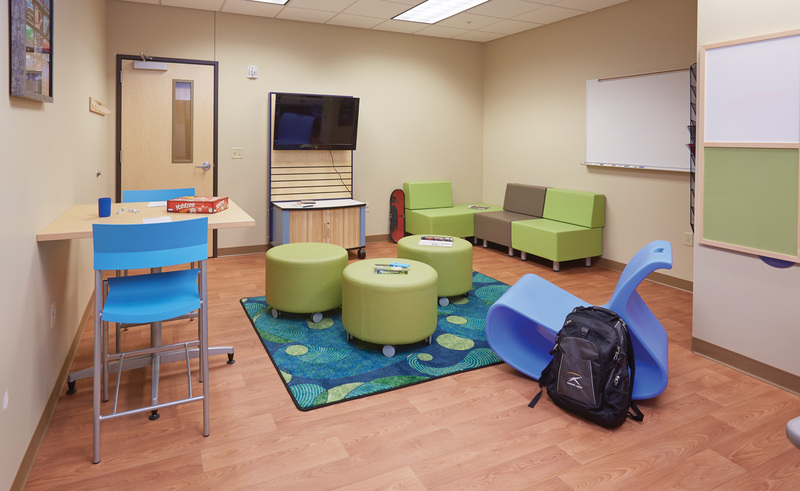 Teens enjoy a space of their own that emphasizes variety and encourages collaboration. 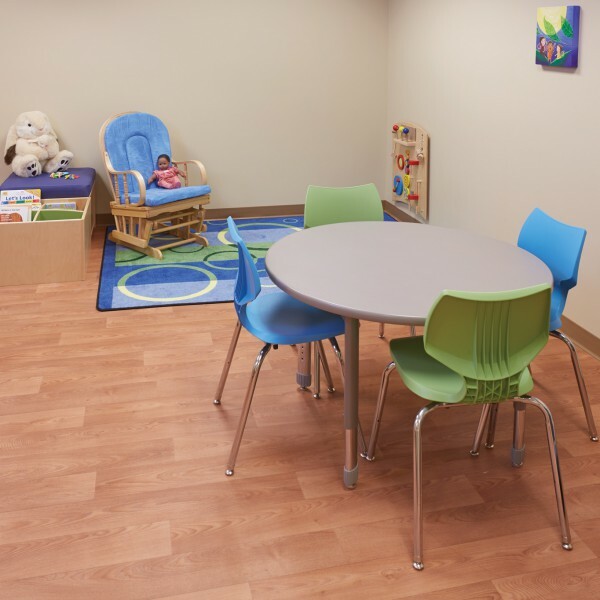 Infants can explore on their own with furniture at just the right height. 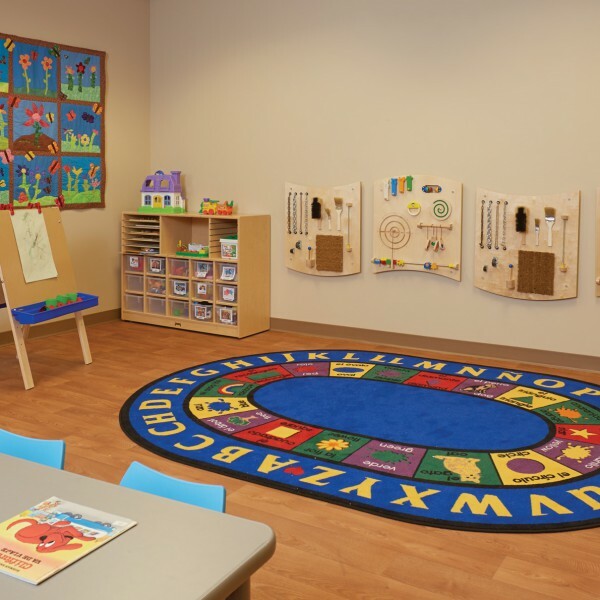 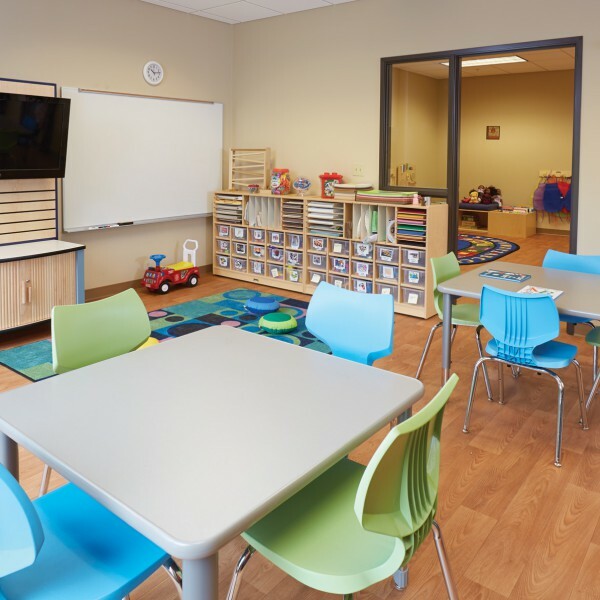 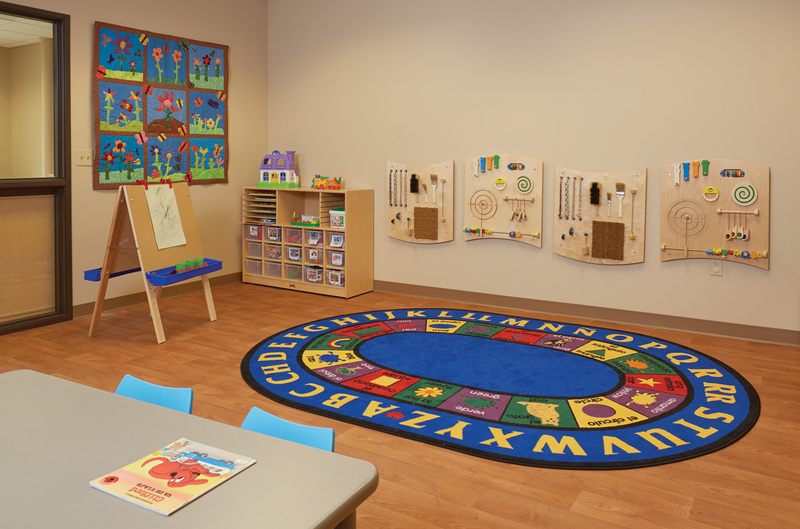 Toddler room excites the senses with a variety of hands-on activities. 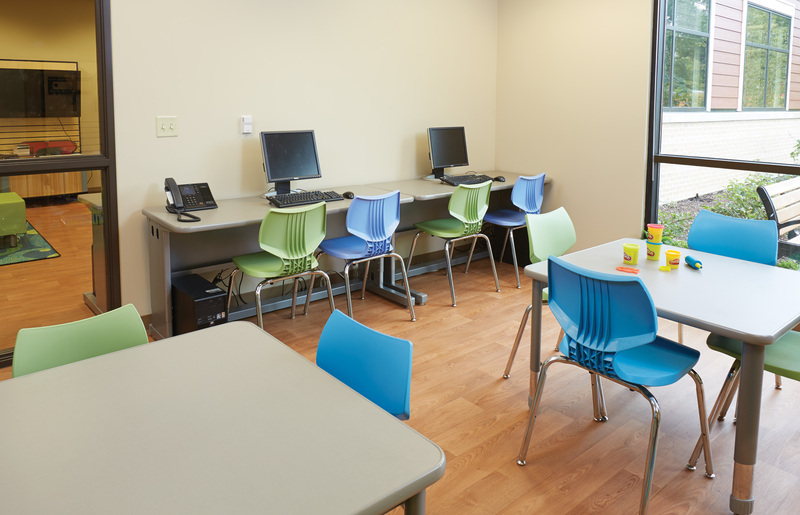 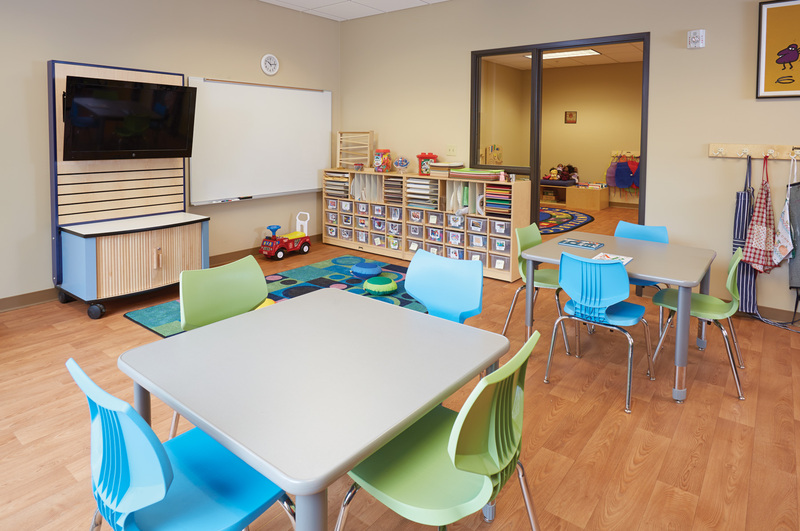 High-tech and low-tech options are available for school-age children. 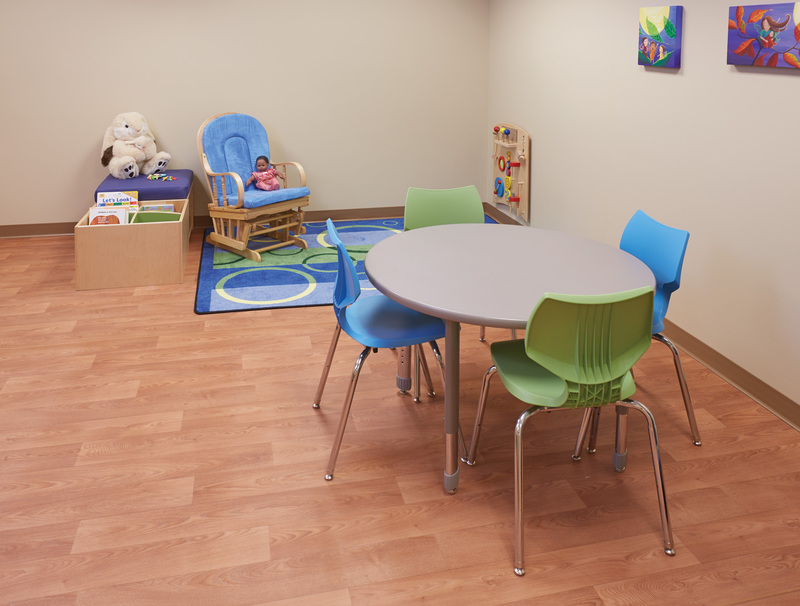 At DAIS, toddlers get to choose — favorite reading materials are ready for self-selection.